Happy Labor Day to those who celebrate it. I am celebrating by laboring. I am trying to put things back in order after dragging anything that could fly through the air back outside after Isaac passed by. The only damage I had was a large moringa tree that was leaning. 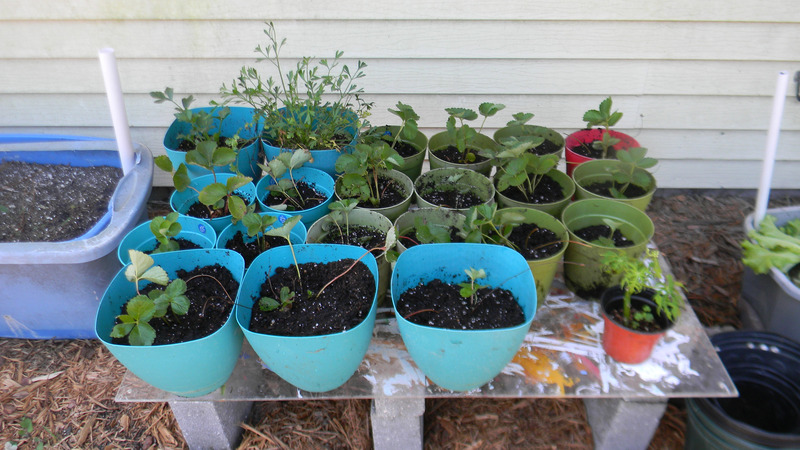 After organizing my pots and cleaning some out I decided to tackle my strawberries. I purchased 2 original plants and I have tons now. 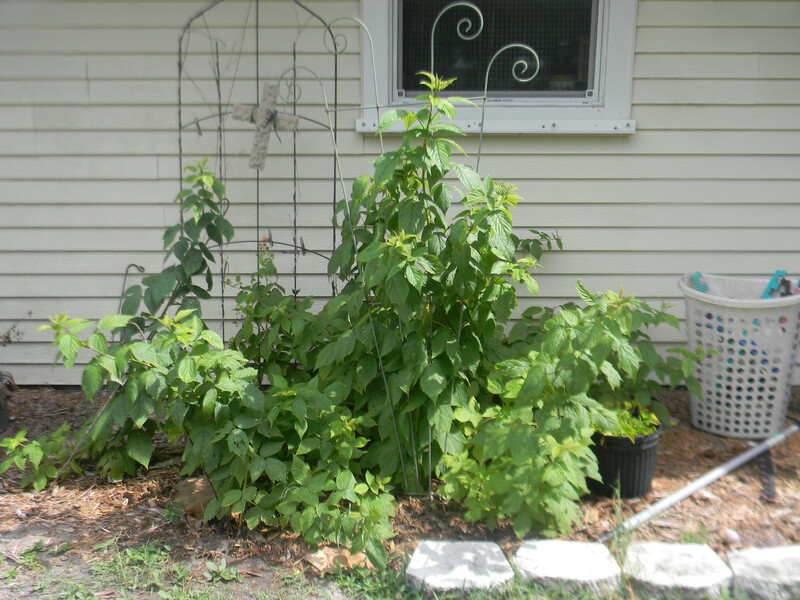 I discovered one plant growing in one of my little grow boxes and I transplanted it into one of my garden beds. Doing a quick count on that one plant I have over 20 plants popping up. These are Quinault strawberries which are everbearing. 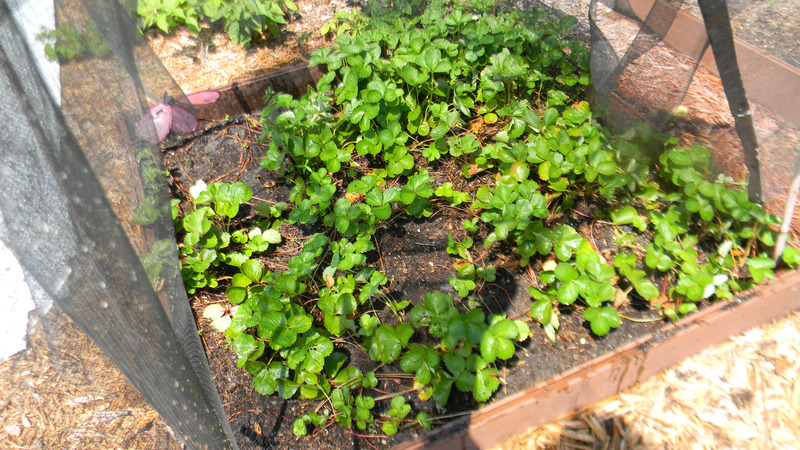 From what I can discover everbearing strawberries do not put out a lot of runners. If this is so then I can’t imagine how many plants I would have with the June bearing variety. I managed to take out 19 plants from the larger bed and it doesn’t seem like I took any out. 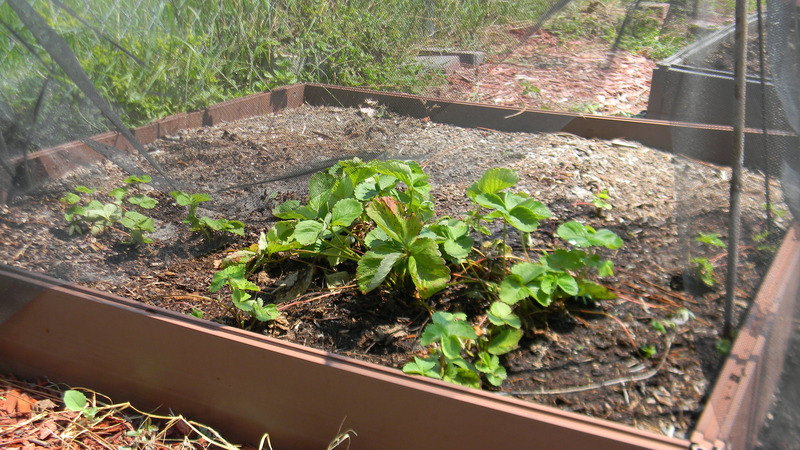 Here is a great website for information on strawberries. While transplanting some of my strawberries I discovered a bagworm moth. They are fascinating creatures. It has been a while since I have seen one and I believe this is the biggest one I have seen. They collect bits and pieces to build their pupae. The females never leave their pupae. The males do come out of the pupae and look for females to mate with. Here is a website with good information on the stages. This is an active pupae because there were droppings on the leaf below it. 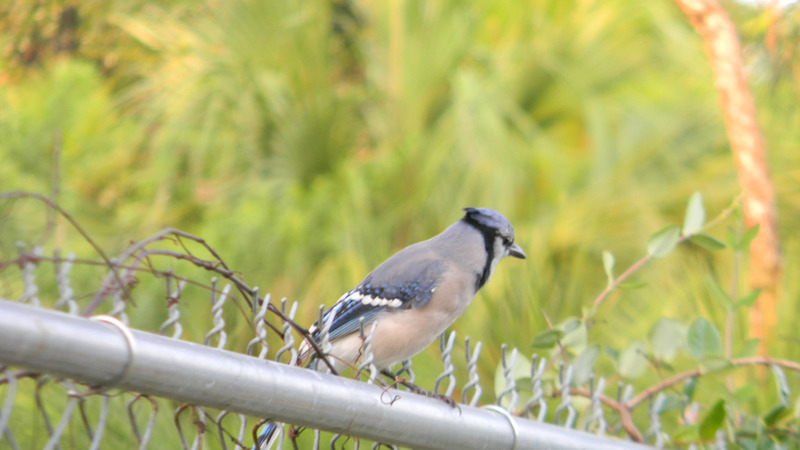 I don’t know if it is a male or female but will leave it for a bit to see. 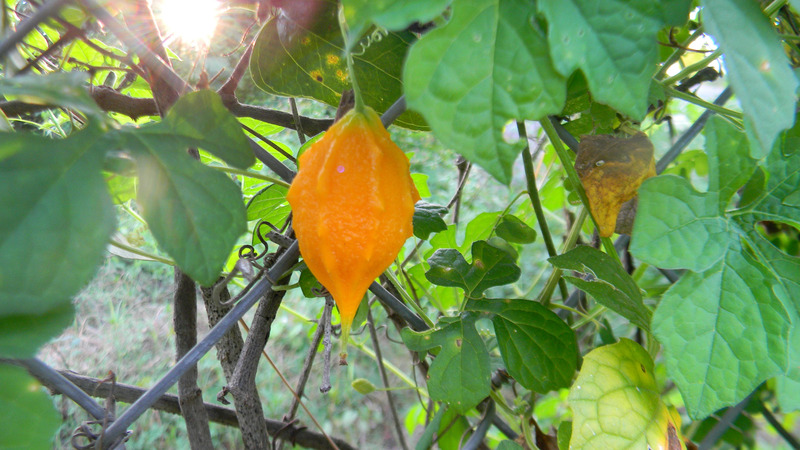 A couple of days ago I spotted a bitter melon pod and today discovered it had opened. You can eat the arils but NOT the seeds. The arils are 96% lycopene. When I took my foraging class we sucked the seed coating off and then spit the seeds out. 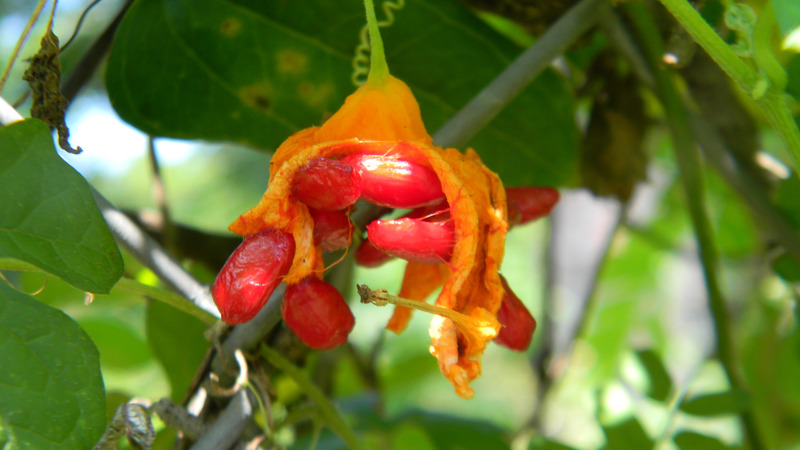 Deane Green has a great website and information on this plant. 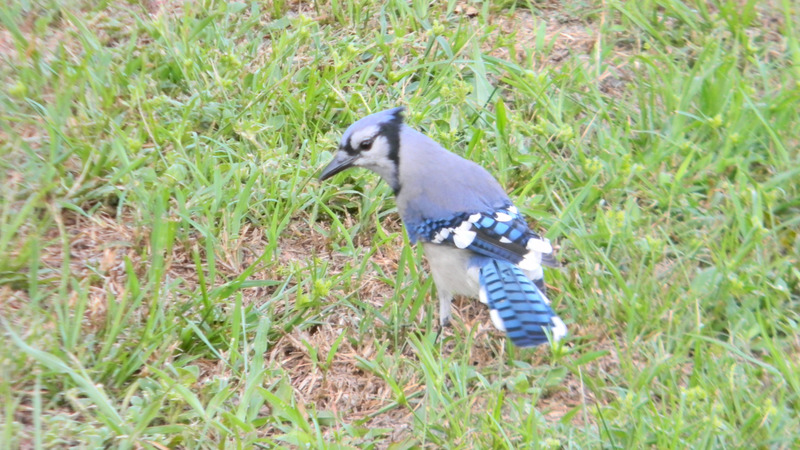 My last pictures are of a beautiful Blue Jay that decided to pay me a visit while I was in my garden. I love the details in the feathers. Yehovah is an amazing creator indeed! 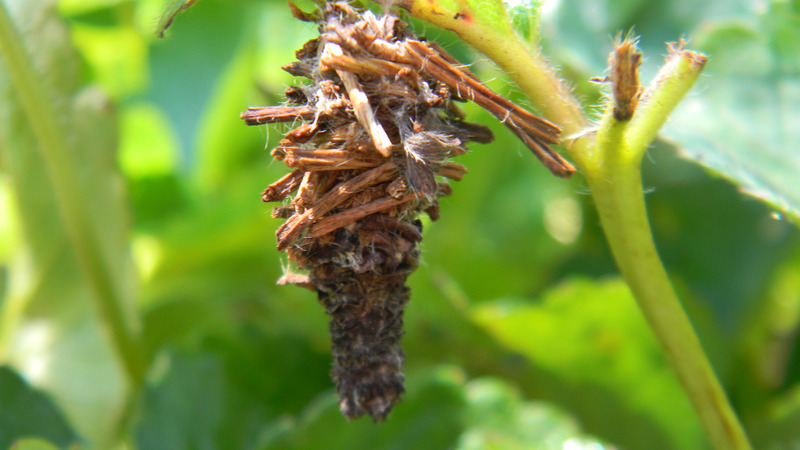 This entry was posted in animals, Birds, Gardening, Posts and tagged bagworm moth, bitter melon, blue jay, gardening, Quinault Strawberries, strawberries. Bookmark the permalink.